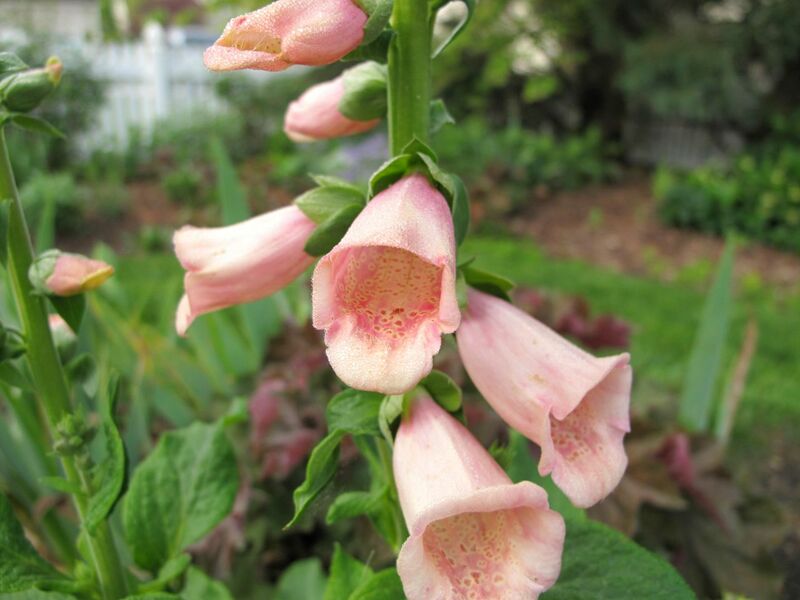 I really like the pale pink of your digitalis. Beautiful. I really love Foxgloves Susie, one of my favourite plants, does this one self seed for you? I like them too Julie but don’t have any luck keeping them from year to year. I bought two of these several weeks ago for instant gratification. Pretty color! I think I like this better than the usual. Isn’t it a good color? I didn’t plant seeds so was dependent on the selection at the garden center. This had just come in the day I was there and was the only color offered. That’s a lovely colour, and the Heuchera goes nicely with it too. I haven’t ever tried to grow foxgloves, but do love them. Thanks Cathy. I like that color combination. The foxglove was a lucky recent purchase. I don’t have much luck growing them but they make such a statement in the garden. I always need something tall. I love foxgloves and this one is such a gorgeous colour. It looks like one I grow called ‘ Sutton’ s Apricot’. This was a lucky find recently at a garden center (so I bought 2). I looked up Sutton’s Apricot and you’re right–they look very similar. Now that’s a really good combo! Thank you. I was happy the two seemed so compatible. Beautiful, I’m hoping some white foxgloves will flower this year but they seem quite small still. White ones would be my first choice. Hope they will bloom for you. 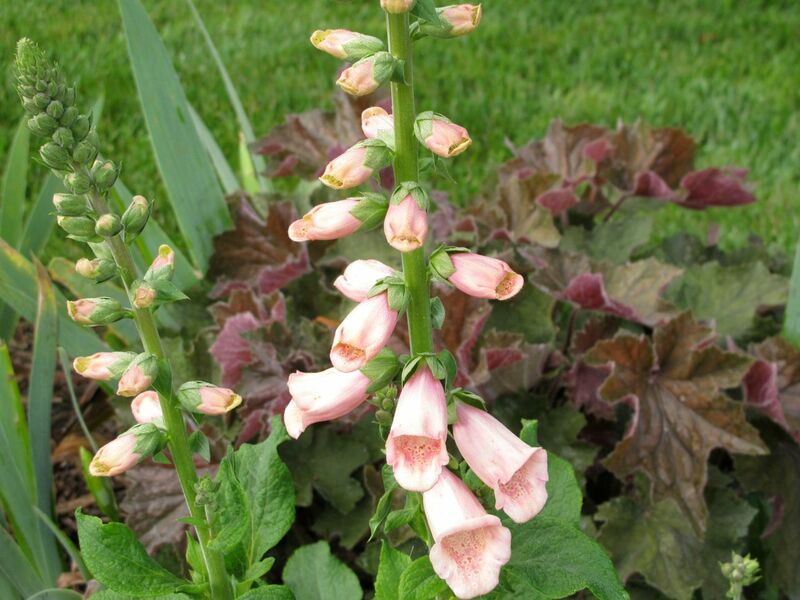 The peach foxglove was a nice find and I’ve been enjoying it so much. I love that color! I need to make a note to order some of that. I have pink, white, and almost purple, but no peach. Do you grow yours from seeds? I should try that again. Such a lovely color. I have been trying to grow other colors aside from the usual dark pink, but they seem to disappear from the garden after the first year. The usual dark pink, on the other hand, self-seeded like a weed. All foxglove are short-lived in my garden. I hope to keep this one around.